In the first 10 picks of the 1995 MLB draft, there were four future All-Stars: Darin Erstad, Kerry Wood, Todd Helton, and Geoff Jenkins. The second overall pick, catcher Ben Davis, was not one of them. The 6-4, 195 lb catcher was the most prized high school prospect and went to the Padres after the Angels took Erstad. The video below is peak 90s. Davis was ranked the 10th best prospect in baseball before the 1996 season. 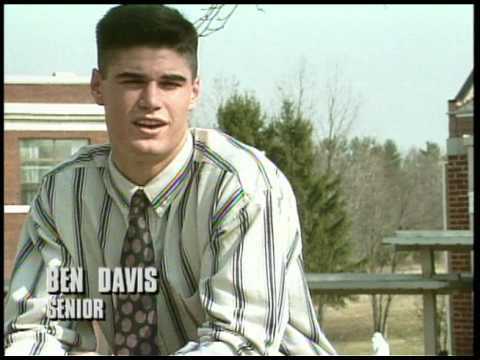 After struggling for a couple seasons in the minors, Davis had a solid 1998 campaign. That earned him a September call-up and one major league plate appearance. He played three more seasons with the Padres, hitting .238/.322/.355 in 258 games. While in San Diego, Davis made Curt Schilling and Bob Brenly very angry with a bunt. I have nothing but respect for the deciscion. It was 2-0 in the 8th! After the 2001 season, Davis was traded to the Mariners for Tom Lampkin and Brett Tomko. After a couple more years of part-time play, he was dealt to the White Sox for Miguel Olivo. With the White Sox, he suffered an elbow injury that required Tommy John surgery. His last big league game came in 2004 at the age of just 27. After rehab, he bounced around the Yankees, Dodgers, and Orioles organizations as a catcher. After the 2008 season, however, Davis converted from catcher to pitcher, signing a minor league deal with the Reds. He threw just 11 innings in A-ball in 2009, but came back in 2010 to start 23 games for the Camden Riversharks, an independent league team (4.61 ERA, 1.46 WHIP). Davis formally announced his retirmement in April of 2011. Currently, Davis is the Phillies TV color broadcaster.